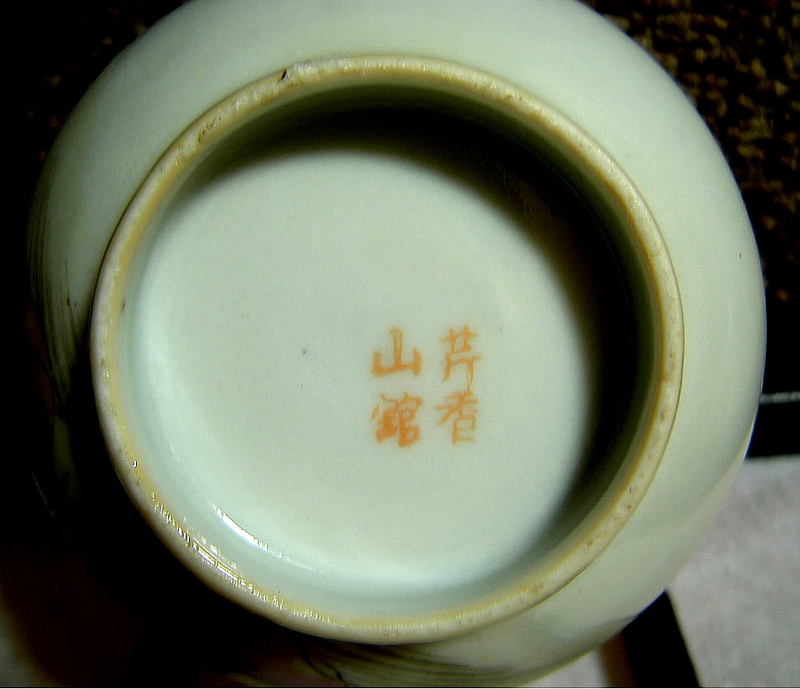 This is the first antique Chinese porcelain piece I ever purchased, and it's the piece that got me started on collecting Chinese porcelain and ceramics. 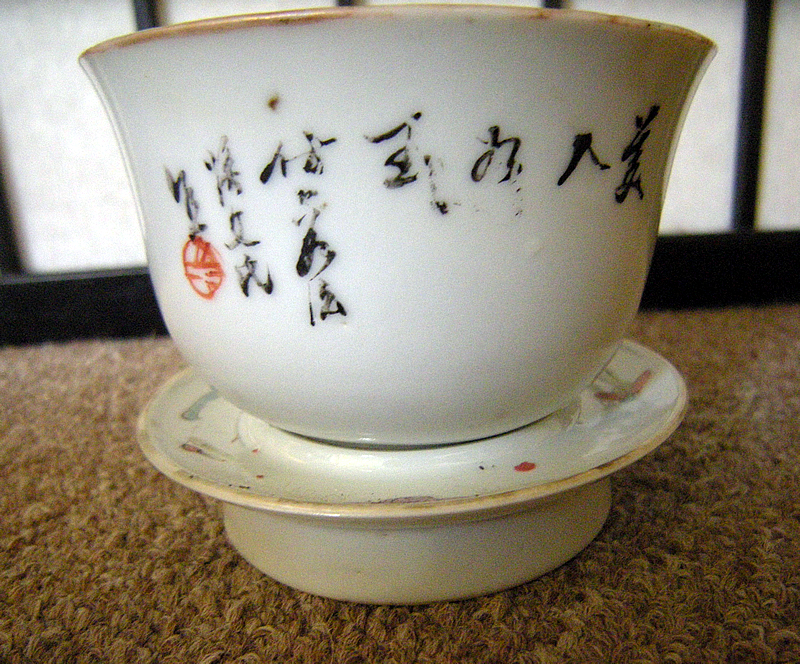 Ever since finding this teacup and stand in a local second hand shop, I have been on the hunt for similar finds and other interesting Asian antiques. 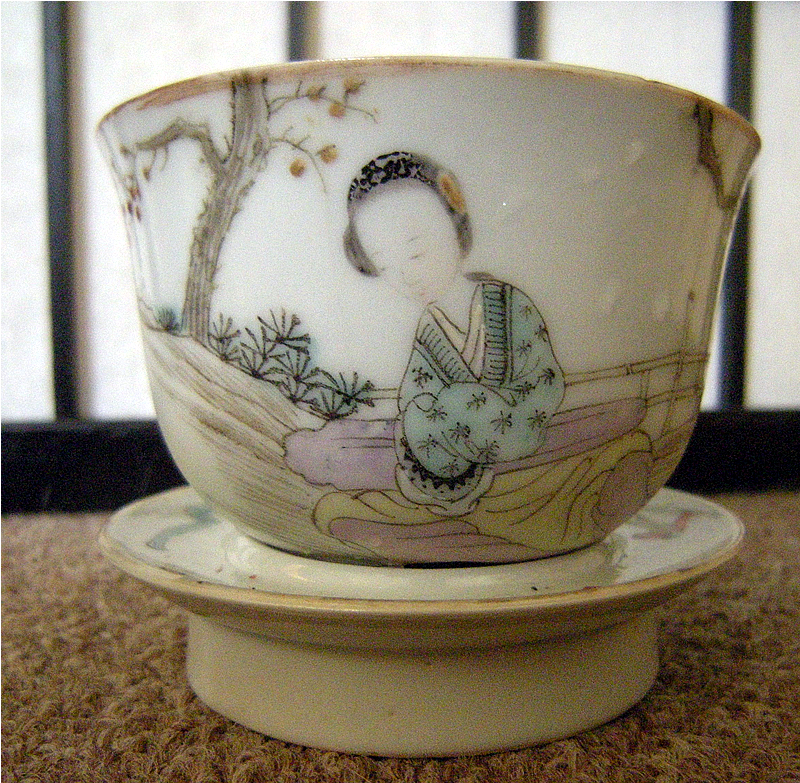 The teacup and stand is late 19th century Qing Dynasty, Guāngxù period, painted by artist Yu Huanwen 余 煥文. , or would that be Yuhuan Wen? Yu Huan Wen? 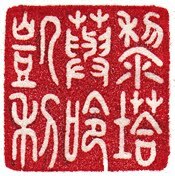 The base is marked 芹香山馆 Qín Xiāng Shān Guǎn, ie "Qin Xiangshan Hall"
The calligraphy reads 美人如玉仿?法煥文氏余煥文 which includes the artist's signature and seal. The Beauty like Jade, to learn from another's methods, Huanwen, Made by Yu Huanwen ? ?